The start date of Tailspin Tommy is a bit of a mystery, mostly because Bell Syndicate was smart enough to have the strip numbered instead of dated. If a newspaper started the strip late it was no problem - just start at strip #1 and continue accordingly. This scheme became quite common with adventure strips, and it's a pretty smart way of doing things. It completely eliminates the problem of a newspaper being interested in running the strip, but having to wait weeks or even months to pick it up so that they can start at the beginning of a new story. 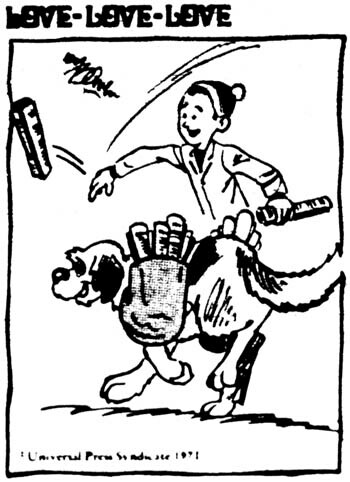 The particular run of Tailspin Tommy that I'm scanning for this series is from the Seattle Times. They started the strip on May 23 1928, in the middle of the week. Other sources quote a start date of May 14th, and Ron Schwartz in The Funnies Paper claims a start date in April. The only start date I can document from primary sources being mid-week, I presume one of these other dates is more likely to be correct. Can anyone name a paper that started Tailspin Tommy before May 23rd? No evidence (again), just counting backwards. The Spokane Daily Chronicle has Tailspin Tommy #23 on June 15 (http://news.google.com/newspapers?id=InoSAAAAIBAJ&sjid=o_QDAAAAIBAJ&pg=3173,3758493&dq=spokane-daily-chronicle), meaning that (if they ran it six times a week) they started it at or about May 19th (a Saturday). 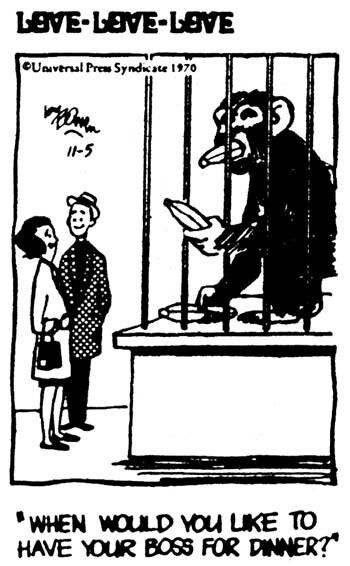 The May 18 edition (http://news.google.com/newspapers?id=xYQSAAAAIBAJ&sjid=pfQDAAAAIBAJ&pg=6295,3288771&dq=spokane-daily-chronicle) has many comics, but no Tailspin Tommy. Actually counting back from that date gives us a start date of 5/21/28, a Monday. While still not as early as others have claimed, that's the earliest documented start yet. Thanks for the link - I seldom have any luck using that darn Google archive search to find anything. I'm leaving on a business trip, and long-time blog readers know that means there's a reprint interlude in the works. This time we'll look at the debut of that early adventure comic strip, Tailspin Tommy. Before we go any further, I must note that the reprint run that will appear here over the next week or so is not quite complete - it's missing a strip or three - but the story reads just fine. I'll have a few things to say about Tailspin Tommy in the coming days, but for now, on with the show. 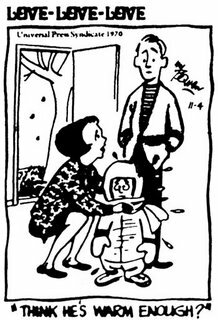 Among the first features to be syndicated by the new Universal Press Syndicate was this little filler panel titled Love, Love, Love. It was credited to Chuck and Gwen Bowen. The subject matter tended toward the sort of gag that would be right at home on a greeting card - a lukewarm laugh stirred in with a sizeable measure of maudlin sentiment. 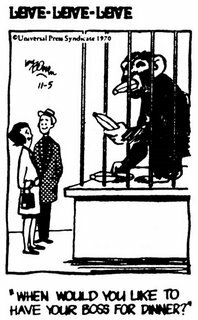 The panel started sometime in 1970 and didn't make a hit with editors (as its now defunct entry on my mystery strip list attests) . In 1972, with the phenomenal success of the vaguely similar Love Is... making syndicate editors drool with envy, Universal renamed the panel to It's Love, about as close as they could come to the hit title without getting sued. The change, however, was to no avail and the panel was cancelled in 1973. Can anyone supply specific start and end dates? 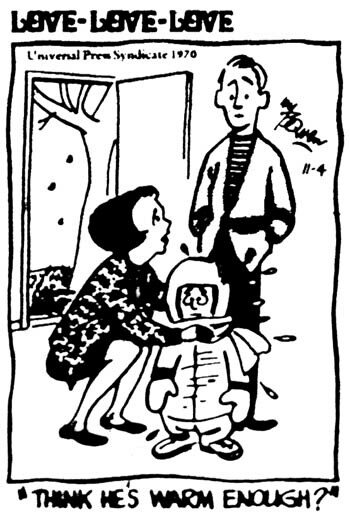 Robert Satterfield's The Bicker Family isn't very interesting as a strip - it's a pretty slavish imitation of Briggs' Mr and Mrs. What's interesting to me is that this NEA strip is absent from the otherwise pretty complete archives of the NEA syndicate held by Ohio State University. It seems that this strip would have been included on their daily comic page proofs, which are otherwise complete in the archives, but the entire run of this strip is absent. Why? I dunno. Anyway, I can document that the strip ran from sometime in 1921 until October 14 1922 based on my own collection. Can anyone supply a definite start date? The earliest in my collection is a run starting on January 1st 1922 (thus my assumption that it goes back into 1921). Um, I do. Is there a particular post you're thinking of where I forgot?